Neimporio beach was always the cosmopolitan beach of Andros since in the past access to others; more remote beaches was made only by boats. The remarkable thing is that today it remains not only cosmic but also a reference point for swimming on the island and nightlife. Not at all strange. 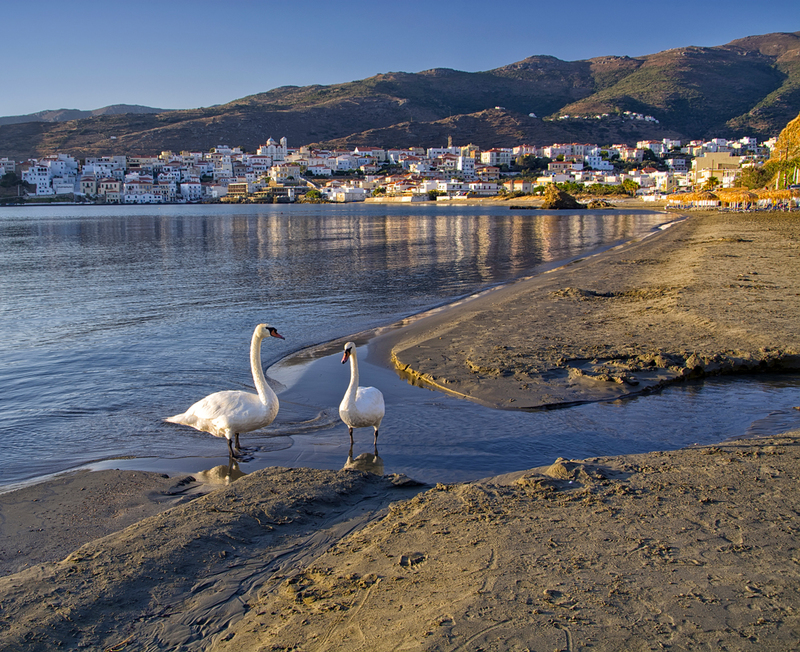 Access to Neimporio Beach is effortless as it lies to the left of Chora, just a few meters from the main road. Neimporio Beach is relatively protected from the air; its waters are shallow with soft sand, characteristics that make it an ideal choice for everyone, but especially for families with young children. Besides that, every visitor can find food and drink options, as there are restaurants, cafes, and bars, that surround Neiborio Beach. Here you will also see the remarkable Sailing School of the Andros Navy Club. Neimporio beach is not only a beach that provides facilities, but it is also an excellent choice for the most demanding visitors. They have an additional reason to choose it. In its middle is the rock of Tourlos that divides it into two, thus offering two alternatives. On the one side sand and at the side other pebble and sand. The rock of Tourlos is a “sun lounger” for the swimmers, but in the evening it turns into a gorgeous attraction, along with the Captain’s houses of Chora, which reflect in the water. From Neimporio Beach you can also see the famous chapel of Agia Thalassini chapel, Unknown Sailor square, as well as the Lighthouse Tourlitis. In any case, there is always a reason to feel fortunate!